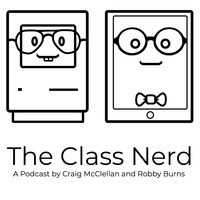 The Class Nerd - Semester 2 Episode 3 - Task, Reminder, Project, and Habit Apps, Oh My! Semester 2 Episode 3 - Task, Reminder, Project, and Habit Apps, Oh My! In this week’s episode, Craig and Robby get into a listen requested topic discussing the differences between different types of apps in the productivity category and how we use them.